If you like the large wound channels that 000 buck produces against deer and other game, this Remington Express load was made for you! 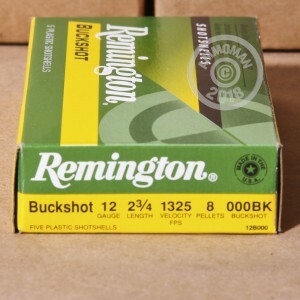 These 2-3/4" shotshells fire 8 pellets of 000 buck at an "express" velocity of 1,325 feet per second, delivering strong patterning even out to medium range. 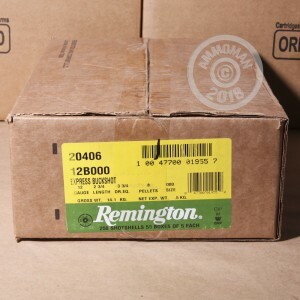 Remington ammunition is loaded in Lonoke, Arkansas. The company is one of only a few manufacturing both shotguns and shotshell ammo and delivers great quality at a reasonable price. 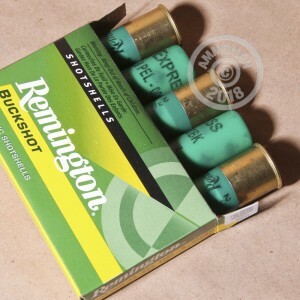 Stock up for the hunt with a few of these 5-shell boxes or check out the rest of AmmoMan.com's selection. Remember, all orders over $99 ship for free!